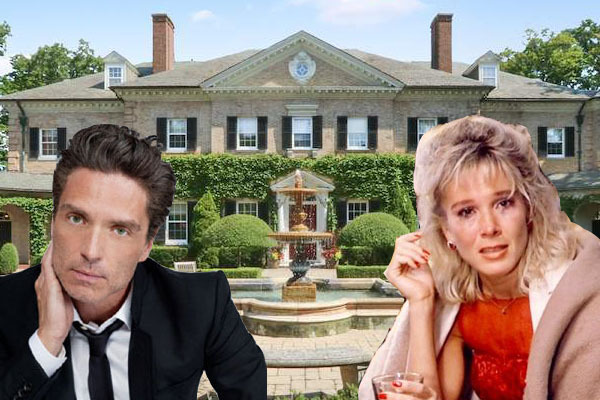 Singer-songwriter Richard Marx and his ex-wife, actress Cynthia Rhodes, slashed the asking price on their North Shore mansion for the fifth time. They are now asking $9 million for the 29,000-square-foot Lake Bluff estate, half of what they first sought in 2014, according to Crain’s. Marx and Rhodes married in 1989 and bought the lakefront property in 1997 for a little more than $3.1 million. They added an 8,000-square-foot building that includes a music studio, kitchen and two bedrooms, listing agent Andra O’Neill of @properties said. The mansion has seven bedrooms, 11 bathrooms and at least 400 feet of Lake Michigan frontage, O’Neill said. It originally was designed by architect David Alder for an heir to the Armour & Company meatpacking fortune. Rhodes’ roles included parts in “Flashdance,” “Staying Alive” and “Dirty Dancing.” The couple divorced in 2014, and Marx married actress Daisy Fuentes the next year.